Day 11 began with strong wind and rain, and since I was preparing Thanksgiving dinner as well, it didn’t make for a good day to take the kids out. They enjoyed the day at home in their pj’s anyway, playing with Lego, Minecraft and dress up. But after the turkey was in and the vegetables were prepped, I ran out for a few errands while my husband was home with the kids. 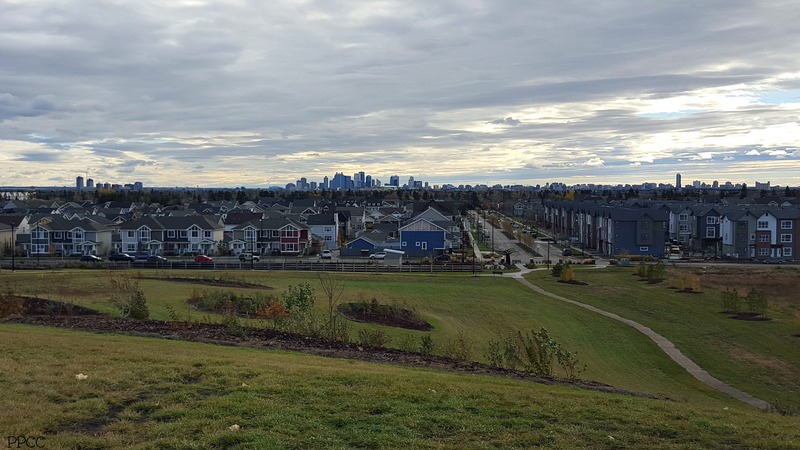 In between stops, I pulled over at one of my favorite local views, Central Hill Park in Griesbach. I walked up the stairs, had a breather and took in the view, then headed down the dirt path on the other side of the hill. It was a nice break to an otherwise busy day. Follow along this month with my series 31 Days to Get Outside and Explore!